Penn's Woods:(PW) This is a rather stable wild apple with leaves of crab apple. 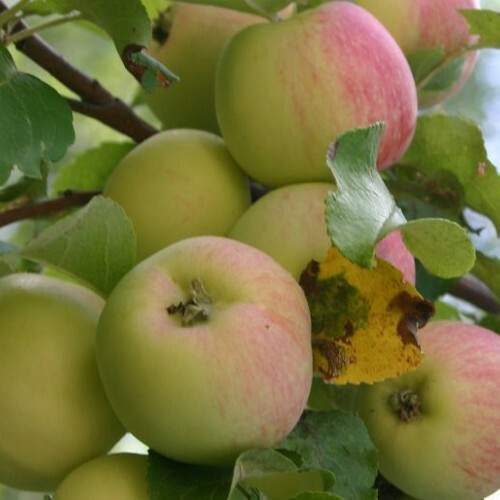 It is a wild apple used as an animal attractant. It makes for a good rootstock for grafting as well. Good foliage retention. Ecos:(E) Wild types from russet apples in northern Michigan. 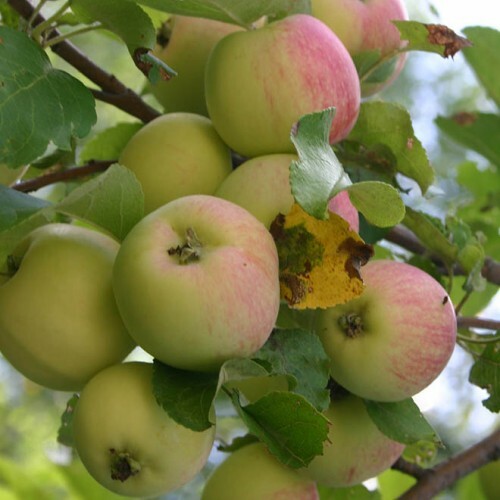 The skins tend to be thick and repel insects to some extent.Crossed with Virginia crab and other extremely fruitful crabapples within the planting. 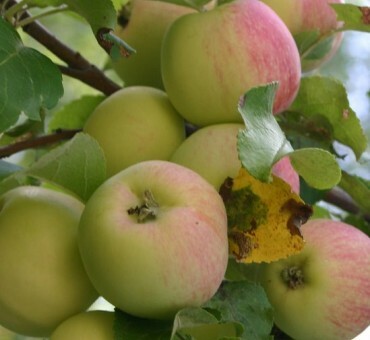 We offer these seedlings as your chance to be Johnny Appleseed. It takes about 4-8 years to fruit a tree from a seed. These selelctions are highly adaptible to many soils and climates and are worth growing even as a seedling or as a rootstock. Anything but wet. Clay is tricky. Zone 4-8. Zone 3-ish might be ok. Anyone can do it, but clean fruit without spray is one of those Utopian dreams in a crazy Buckminister Fuller world but possible and within reach of growing blemish free seedlings and not grafted trees.